University of Port-Harcourt, UNIPORT school fees payment schedule for the 2018/2019 academic session. UNIPORT school fees schedule for each programme have been uploaded on the university official portal. The authorities of the University of Port-Harcourt (UNIPORT) have released the amount payable as school fees by the Undergraduate, Postgraduate, Masters, Doctorate, Basic and Certificate students of the institution for the 2018/2019 academic session. 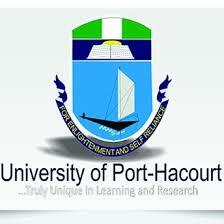 UNIPORT school fees schedule for each programme have been uploaded on the university official portal. Check UNIPORT School Fees Schedule. Your school fees schedule will be displayed to you after going through the necessary steps as outlined above.